Kindred Realty Group is built on the firm belief that every one of our client’s transactions should be cared for like our own families’. As one of the most life-changing investments you can make, your home deserves the clear, consistant communication and focused attention a specialized team like ours offers. With experienced listing agents, buyers agents, and a skilled operations team; the stats prove Kindred buys lower, sells higher, and closes faster. 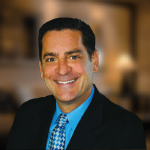 Kindred is lead by David Rudd: broker, best- selling author; former licensed real estate appraiser, general contractor, and real estate investor. 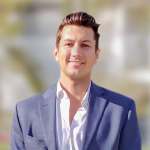 Our proven, statistics-driven methods are innovated by Anthony Montroy, Marketing Director with MBA in Marketing from UC Irvine, formerly employed by industry-leading brands such as HP and Bank of America. We are grateful that you have taken the time to consider us and hope you will make us your real estate family. Zillow announced that Kindred Realty Group is the #1 team in California for customer satisfaction and #7 across the entire US! Kindred Realty Group returns to Keller Williams following an announcement and hand-on demonstration that they have made huge leaps in real estate technology that will benefit Kindred’s clients and make the team more agile. “​Kindred-Hervieux Real Estate Group” simplifies its brand to “Kindred Realty Group”, reflecting the streamlined efficiency the Kindred Real Estate Family and Hervieux Real Estate Group have achieved together. Also, Kindred Realty Group is way easier to write and pronounce. With this rebrand, Kindred also adopts a new logo reflecting its company values. Kindred Realty Group moves to eXp, the world’s first cloud-based brokerage. This move improves Kindred’s access to the newest real estate technologies for clients and gives agents retirement savings opportunities. IMS, an independent real estate research firm, shares San Diego results, with Kindred selling on average 3.3% higher than other agents while selling homes roughly 24% faster. 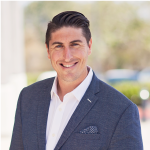 Kindred Real Estate Family merges with Hervieux Real Estate Group — a like-minded, top-1% real estate team in Southern California — to form Kindred-Hervieux Real Estate Group. This merge brings increased agent coverage across the SoCal region, dedicated listing and buying operations teams for more comprehensive customer service, and in-house design professionals for improved marketing. Kindred Real Estate Family joins KW. 2015, 2016 Kindred receives #1 team for top producing, #1 team in sales volume. Rudd Real Estate continues to grow and brings on new highly qualified agents that share the fundamental value of treating every client like family. The name “Kindred” is chosen to represent the philosophy that every client should be given the same treatment as our own family. Rudd Real Estate is born - experiences tremendous growth - focused on treating every client like family and selling everyone home as if it were ours. 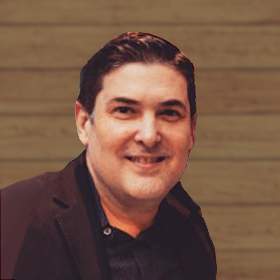 Kindred knows that the best marketing will gain our clients and extra $5-50k; so, we brought Anthony onto the team. Anthony has a MBA in Marketing from the University of California, Irvine, one of the top public school MBA programs in the country. He has worked for companies such as Bank of America and HP. Prior to earning his MBA Anthony worked for the FDIC as a federal bank regulator. Jessica has been working in real estate for more than eight years. 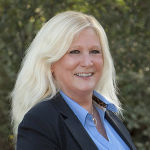 She has experience working on every side of the industry, including short sale negotiations, lender relations, marketing, sales & operations management, transaction management, and processing loans. 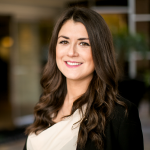 At Kindred Realty Group, her extensive knowledge makes her an ideal operations manager, as her role requires that she “wear many hats”. Some but not all of her job responsibilities are to oversee the team operations and escalations that arise, client liaison to all, listing input & management, and coordinates the Home Seller Success workshops among other special events. She also acts as a listing partner for David Rudd. Darrien, a fun-loving designer from Honolulu, Hawaii, has been coding since he was 12. 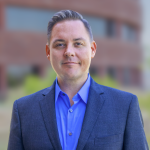 As a graduate of San Diego State University with BA in Multimedia Design, Darrien brings both the streamlined efficiency of a technologist and the creative eye of an art graduate. Previously employed as a web developer and as a freelance professional, Darrien has amassed a creative, modern approach to the integration of technology and design. 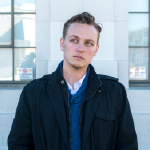 At Kindred Realty Group, Darrien uses his knowledge of design and technology to ensure your home reaches the right eyes through effective marketing campaigns and engaging websites. He also helps keep processing times fast by managing our backend systems. Sophia, a San Diego native from Del Mar, has worked in the real estate industry for five years. She has extensive experience recruiting, expanding, training and representing brokerages through her skills in public relations. By building rapport with each person she meets, she has thrived in establishing networking and referral based relationships, both nationally and internationally. Prior to joining Kindred, Sophia was selected by KW (the world’s largest brokerage) as an ambassador to share their mission and value proposition with top leaders in the Mexico market as part of a major expansion effort. She assisted in opening up 16 franchises across the country in just three years. 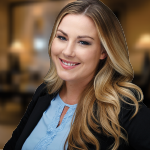 Returning to San Diego, Sophia brings her proven skill set in real estate expansion and interpersonal relationships to Kindred Realty Group. 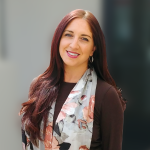 As Kindred’s National Agent Partner, she supports the team’s agents and connects with top agents across the country to grow the team’s Success Partner program and expand the team with highly qualified agents. 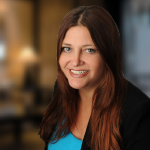 Mia comes to the Kindred team with 30+ years experience. Her background covers fashion, display marketing, interior design and business management. These qualities exemplify what our in-house staging team brings to our clients. Mia designs a custom staging plan for each home and creates a look that will appeal and excite buyers, which is proven to increase the value of our seller’s homes. She also provides the highest level of service to every client, treating each one with patience and respect. Mia finds great joy in her work, and it shows! Alden is a San Diego native. Growing up in Rancho Santa Fe in the early 1960’s she has enjoyed the North County coastal lifestyle ever since. Alden has been a Licensed Realtor since 1991. In 2009 she found her true passion in the business development and client care aspects of the industry. Developing a rapport and being the liaison between the company and client, she values building lifelong relationships. Alden recently joined forces with the highly respected David Rudd Team at Kindred Realty Group and is proud to be part of a first-class company that offers of an unsurpassed level of service to their clients. Alden continues to be informed and educated in Real Estate including law, ethics, and best practices, bringing a wealth of knowledge and expertise to David’s team. Alden has lived in Carmel Valley for the past 27 years and enjoys spending free time training and competing in AKC obedience trials and working with some of the country’s most respected K9 Schutzhund trainers with her beautiful champion German Shepherd, Victoria. Vanessa is a third-generation San Diego native and has been serving in the San Diego real estate market for nearly two decades. Her longevity and confidence comes from her strong communication and problem solving skills which she demonstrates in each transaction. Clients satisfaction is her top-priority and it shows with repeat and referral business that keeps her productive and successful. 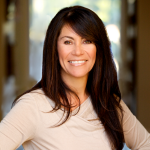 Vanessa provides the special attention one expects of a dedicated real estate professional. She is praised most often by clients for her professionalism, patient approach, and unwavering loyalty. Her desire to serve her clients’ particular needs coupled with her market expertise and ability to create a win-win in all situations sets her apart. She is honored to be a part of the award winning Kindred Realty Group.